Posted on February 24, 2007 by Chad O.
PC Magazine has reviewed the Dell XPS M1210, giving it a “Very Good” rating – 4 out of 5. This is the Microsoft Windows Vista release of the XPS M1210. They point out that it’s pretty heavy for an ultraportable (almost 5 pounds), but given that it has an internal optical drive, as well as the option for dedicated video graphics, as well as running an Intel Core 2 Duo, it’s understandable. Performance is nothing short of spectacular for a laptop this small. The 2-GHz Intel Core 2 Duo T7200 is the same standard-voltage, dual-core processor that powers the Lenovo ThinkPad X60 (Vista). The XPS brand stands for many things, including uncanny performance, superior service quality, and excitement-inducing features. The Dell XPS M1210 packs all of this into a 4.9 pound frameâ€”not the lightest ultraportable, but portable enough for all your travels. 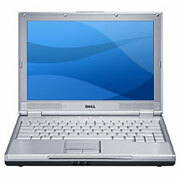 This entry was posted in Dell, OS - Vista, Reviews. Bookmark the permalink.